The NFL Combine list is out. See which of your favorite HBCU stars will get a chance to show all the pro scouts what they can do. The NFL Draft Combine list is out and a total of three former HBCU stars will get a chance to show the entire league what they have. Two players from the MEAC were announced as participants of the showcase, as well as one from the SWAC. North Carolina A&T’s Darryl Johnson is headed to the showcase. The 6’5 defensive end turned heads during the season, winning MEAC Defensive Player of The Year. Then he shocked many in the HBCU world by opting to leave for the NFL following his redshirt junior season. It will mark the third consecutive year that an A&T prospect has been invited, following in the footsteps of offensive tackle Brandon Parker (2018) and Tarik Cohen (2017). Both Parker and Cohen went on to be selected in the NFL Draft. Morgan State’s Joshua Miles is looking to blaze a trail for himself in Indy. The offensive tackle will hope that his 6’6, 310 pound frame will gain the scouts attention. Rounding out the list is Tytus Howard of Alabama State. The 6’5, 300 pound tackle from Monroeville, Alabama is probably the most-likely player from an HBCU to get drafted. His NFL.com draft grade is 5.81, which means he has a chance to become an NFL starter. One name not on the list was Amir Hall. 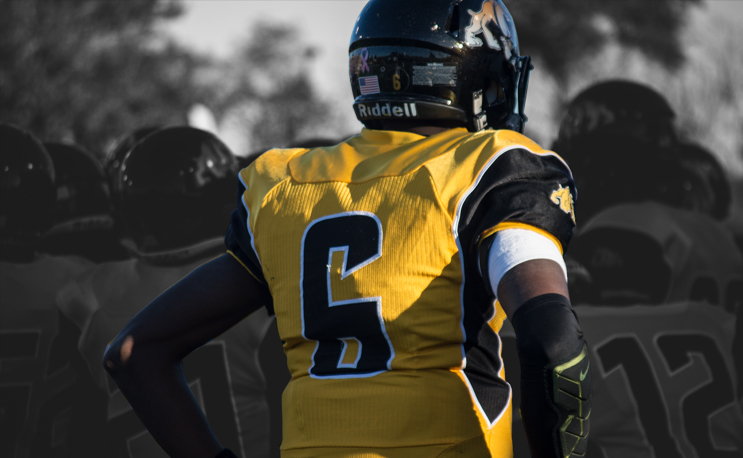 The 6’5 quarterback from Bowie State University had a stellar three-year career that culminated in a 2018 season in which he broke CIAAs record for passing yards and touchdowns, while leading BSU to the CIAA championship game and the D2 playoffs. No HBCU quarterback has been drafted by the NFL since Alabama State’s Tavarus Jackson was picked in the second round back in 2006.